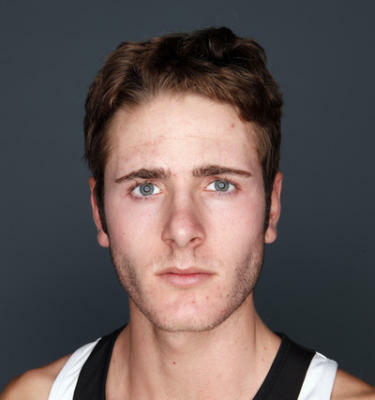 Garrett Rowe's physical gifts are enhanced by a cerebral approach to racing that has helped the Mountain View athlete develop into one of the top runners in California. Rowe planned out his senior season with one objective in mind — to peak for the CIF State cross country championships in hopes of helping the Spartans to win the State team title. Covering the 3.1-mile Woodward Park course in Fresno in 15:06, Rowe finished fourth individually in the Division II race, helping the Spartans take the state team crown. "Garrett is a very smart runner," Mountain View coach Evan Smith said. "He's given carte blanche to race whatever way he wants. He's a power runner who can motor over anything, but what impresses me most is his consistency. He has been in the top 10 at the state meet for three years in a row. "That shows what kind of runner Garrett is, but people need to know that he has worked extremely hard." Rowe won the CCS Division II title as a junior and finished second this year behind Gunn's Paul Summers (14:41) on the 2.95-mile Crystal Springs course with a time of 14:52. He was second in the state meet as a junior and fifth as a sophomore. Following in his father Brad's footsteps, Rowe will continue his career at Princeton. Rowe's last race came at the Nike Cross Country Nationals in Portland, where he earned All-American honors with a 15th-place finish with a time of 15:35.60 on the 3.1-mile course. "It was a phenomenal season for our team after all the work we put in and the injuries we overcame," Rowe said. "What I'll remember most was the camaraderie we had. We had 15 runners competing at CCS, but about 80 from the team showed up to cheer us on at the CCS meet." 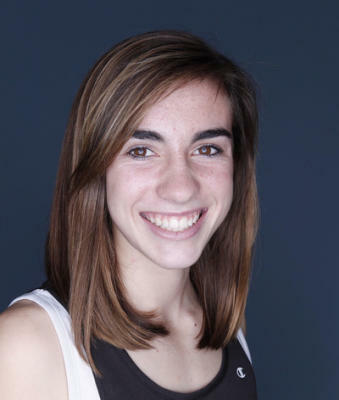 Behind the easygoing, polite personality of Mountain View's Allison Sturges is a spark that drives the talented runner to excel. As a freshman, Sturges' promising cross-country season ended prematurely because of a stress fracture, but she battled back with an impressive track and field season, finishing second in the 1,600 meters at the Central Coast Section finals. Her success carried over to the cross-country season this year as the sophomore earned Mercury News runner of the year honors after winning the CCS Division II title. "Allison is a very competitive person, she wants to win," Spartan coach Evan Smith said. "You put a runner in front of her and she wants to chase her down and beat her. She has that fire." Sturges began the season slowly taking a cautious approach to avoid injury. She suffered a setback in October when she came down with the H1N1 virus. She couldn't train for a week and finished fourth in her league meet. But Sturges rebounded in the CCS Division II race, with a time of 18:00 on the 2.95-mile Crystal Springs course to beat her nearest rival by 18 seconds. "My freshman year was frustrating because I wanted to prove myself, but I didn't get the chance," Sturges said. "So it was really exciting to win CCS this year." After running out of gas at the end of the league meet, probably due to her bout with the flu, Sturges held back at CCS until there was about 900 meters left, and then made her move. At the state meet, she finished 25th in the Division II race with a time of 18:28. With one CCS title under her belt, Sturges is determined to add to her trophy case. Look for her to be contending for the 1,600 meter crown once again when track season rolls around.